The Bengals coming off a soul-crushing, physically devastating loss to the Steelers the prior game…a game in which they ultimately lost 4-5 key defensive players for this game with the Bears. The Bears being a ‘good’ bad team with a young QB getting better every week. You had the feeling the Bengals would be flat here and get beaten…but you didn’t think it would be a blowout. The Bengals answered an earlier Bears’ score to take a 7-6 lead…and then never scored again, allowing 26 unanswered points. -- The Bears ran for 232 yards on 38 carries (6.1 ypc) in this game. Why? In large part due to the fact that the Bengals were missing several linebackers/defensive players. They may be missing all of them again. If so, it could be a very heavy Vikings run game Week 15…and Jerick McKinnon may rise back up for a big game. Latavius Murray is probably assured of 20+ carries for 100+ yards if Vontaze Burfict is out again. I have to note this about the Bears rushing attack…Tarik Cohen (12-80-0, 2-5-0/2) is one of the most explosive players I’ve ever watched play football. The sheer stupidity of this coaching staff to underutilize him is mind-boggling…and expected. Cohen nearly had 3 TDs in this game. He has more ‘near TDs’ than anyone in football this season. Early in the game, he took a handoff and bobbed and weaved his way for a 35-yard score. Upon further review, he barely stepped out of bounds halfway in, so TD called back. It was still a thing of beauty. Cohen would not touch the ball for about a full quarter later…when he would take a bubble screen and weave through traffic for a 15-yard TD. Called back for an offensive penalty. Later in the game, Cohen took a red zone carry for 10+ yards getting halted at the 1-yard line. 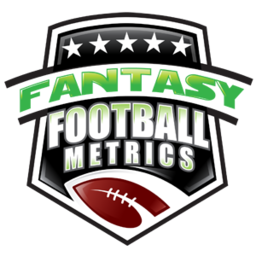 (1) I’m not crazy – Tarik Cohen is going to matter for fantasy, a lot someday. Keep the faith. (2) If you’re in a dogfight this fantasy week and you know you need a miracle to pull off a win, however you would ascertain that, rolling Cohen dice is not crazy because. You might get a ‘3’, you might get a ‘30’+. He’s that kind of guy right now. -- I’m going to move Adam Shaheen (4-41-1/5) up in the next Dynasty Stash rankings. I’m not going to fight what I’m seeing with ‘scouting logic’. Sure, I look at Shaheen and I see a kinda stiff, awkward TE prospect…I see he’s extra tall and athletic for his size (on paper), but I don’t see ‘it’ on the field…yet. I don’t think he’s terrible, but I have my reservations. I could’ve said the same thing about several 2017 TE1s…Zach Ertz comes to mind. I don’t think Ertz is that great but he’s good enough and in a great spot, thus the high FF rankings we dealt out on him this preseason. (1) Trubisky and Shaheen are BFFs and that is going to matter as much/more for fantasy than Shaheen’s vertical or three-cone. (2) Shaheen never gets open but he’s so tall and has a basketball background, that he makes the catch over-the-top of defenders…a poor man’s Jimmy Graham circa 2017. (3) Trubisky is such a surgeon, he knows where to put the ball when Shaheen has a smaller guy covering him. “Opportunity over Logic” is my new fantasy scouting theme for 2018. Shaheen could be my poster child for it. -- Kendall Wright (10-107-0/11) had a shocking stat output out of nowhere. Is it the start of something? I’d assume not. I mean, these guys have been playing together for a while now…in the three games prior to this, Wright averaged 2.0 rec., 3.7 targets, 21.7 yards, 0.0 TDs per game…exactly 2 catches each game. I have to say it’s a blip until further notice…a blip aided by Cincy missing a few DBs. The last two games for Trubisky – 37 completions in 47 pass attempts…78.7% completion percentage. -- Gio Bernard (11-62-0, 6-68-0/8) got the start and he looked solid enough, but this game got derailed and it helped Gio pump numbers as the Bears defense played more prevent-ish. Bernard has played with a spark since taking over for concussed Joe Mixon last week, midgame versus the Steelers. This team LOVES Gio…so, I’d worry if Mixon gets cleared that there will be more of a split in Week 15 then the continued push of Mixon as a workhorse like was happening before he got hurt. If Mixon is out again this week, Gio’s a so-so start versus the tough Vikings defense, but if Mixon is back…it could be some kind of split and then it’s the Vikings…it’s not good for Mixon or Gio probably.